A report published by London's Kew Gardens claims to have found a fungus that can break down plastics "in weeks rather than years." Experts say the fungus, known as Aspergillus tubingensis, which was found in Pakistan, is capable of eroding plastics such as polyester polyurethane, which is often used in refrigerator insulation and synthetic leather. The report, which involved 100 scientists from across 18 countries, found that 2,189 new species of fungi were found during 2017, while an estimated 2.2 million to 3.8 million species are yet to be described. Plastics and other detritus line the shore of the Thames Estuary in Cliffe, Kent, UK. Plastic has been found to choke marine wildlife, and has also entered the ocean food chain -- exposing marine life to toxic chemicals that can end up in the food on our plates. Around 150 million tons of plastic are already floating in our oceans -- with an additional eight million tons entering the water each year, according to the World Economic Forum. By 2050, there will be more plastic than fish in our oceans by weight if current rates of plastic dumping continue. As well as potentially being deployed to tackle the plastic crisis, fungi are already contributing to biotechnology, medicine and food. 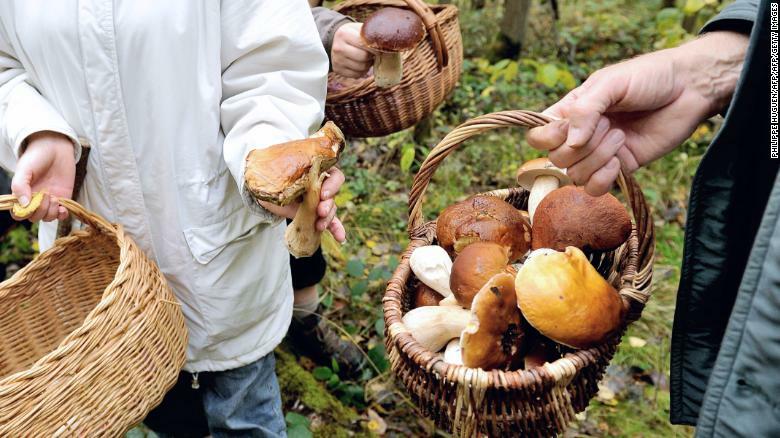 Scientists believe about 350 species of fungi are eaten as food, with the market for edible mushrooms estimated to be worth around £32.5 billion (about $42.3 billion) per year. Fungi are used in a number of cheeses, alcohol, bread and UK meat substitute Quorn as well as medicines such as penicillin and statins.